When Scott Mallary needs help on equipment financing, he always turns to someone who feels like family. 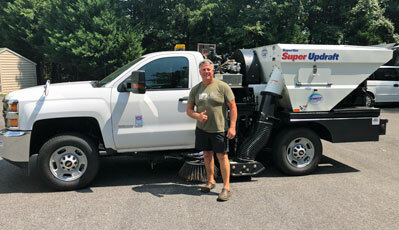 Scott owns Mallary Pressure Washing and Parking Lot Maintenance in Crownsville, Maryland. The business specializes in snow removal and pressure washing maintenance for businesses. Scott has financed four different Schwarze sweepers in the past five years with Stearns Bank. He has worked with Stearns Bank's Terilynn Palmer and always comes away impressed with how fast Stearns Bank has gotten him the financing he needs for his equipment purchases. Scott doesn’t imagine switching his equipment financing lender up anytime soon, especially when Terilynn and Stearns Bank have delivered for him during every transaction.